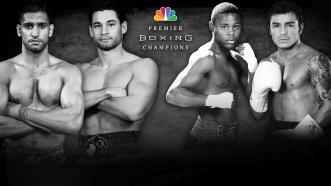 Amir Khan and Chris Algieri let their fists fly throughout their May 29 rumble, especially in an action-packed Round 8. 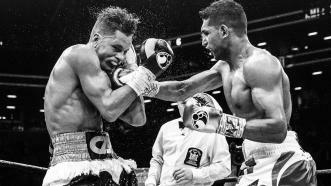 Amir Khan used his superior speed to continually frustrate Chris Algieri over 12 rounds and win a tightly contested 147-pound battle, while Javier Fortuna off a fierce attack from Bryan Vasquez to win a 130-pound showdown and stay unbeaten. 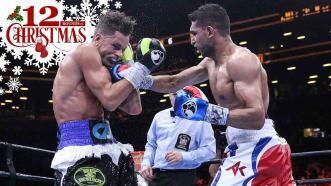 In a back-and-forth fight with a lot of action, Amir Khan won a unanimous decision over Chris Algieri. Britain's Amir Khan prepares to take on Chris Algieri at Barclays Center in Brooklyn, New York, on May 29, 2015. Amir Khan used his superior speed to continually frustrate Chris Algieri over 12 rounds and win a tightly contested 147-pound battle. Amir Khan talks about his background in the north of England, and his boxing style, as he prepares for his May 29, 2015 fight against Chris Algieri.